Take one word, put it in the middle of a headline and make it twice as good. At least. If this poster had said ‘10 things to do in Henley’ or even ’10 great things to do in Henley’ would you bother reading it? But this poster had the courage to claim that its 10 things are brilliant. You’ve got to take a look. 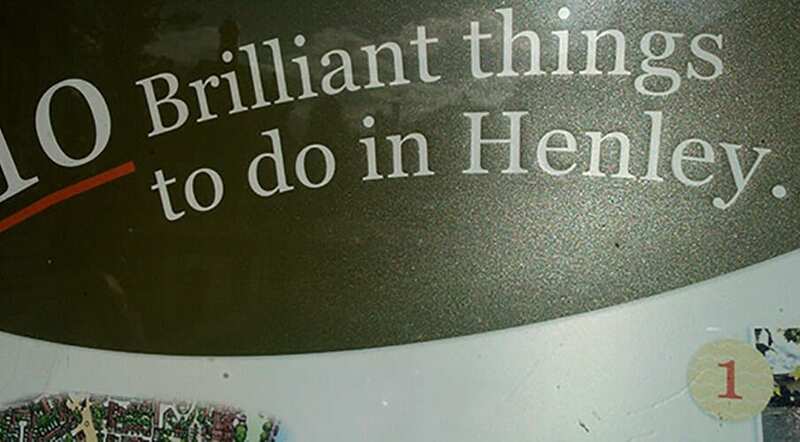 And even if you decide that Henley Council have been a little bit over enthusiastic, you’ve got to admire their confidence. Number 1. Have a look at the river while you walk over the bridge. Brilliant.